In the past, the Kings of Gorontalo used Otanaha castle as a place of protection and defense. The unique of the castle applies in the material that was used to build the castle, which was the mixed of sand, plaster and the white part of Maleo egg. The panorama of Danau Limboto also can be seen clearly from the castle of Otanaha, because the castle itself stands in the top of the highland. Precisely, the castle is located in Dembe I, Kota Barat. The distance of the castle is approximately 8 km from the center of Gorontalo city. 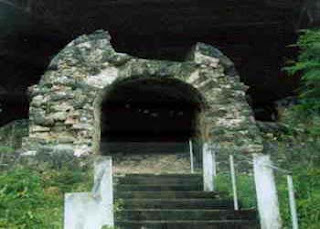 Beside Otanaha castle, there are two more castles that also located in the same area, Otahiya and Ulupahu castles. The visitor must pass 345 steps of stairs to reach the three of the castles because of its position that located in the top of the highland. There is also alternative way to be able to reach the top of the mountain.